I made this card for SC321 at Splitcoaststampers. I used three different stamp sets from Mark's Finest Papers. 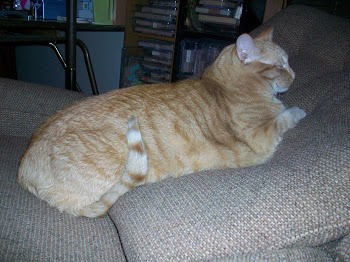 I have a card sale coming up in a few weeks to benefit the no-kill animal shelter where I volunteer. I wanted to make a few more last minute cat cards, so I decided to use some of the cat stamps from Mark's Finest Papers. I am also entering this card in Stampin B's #99-use a flower. My background paper contains flowers. This card is my last design team card for the Doodle Pantry. It has been a fun six months with the Doodle Pantry design team. I made this card for FS212 at Splitcoaststampers. I cased this card by coriefoster: http://www.splitcoaststampers.com/gallery/photo/1631875?&cat=500&ppuser=92732 I kept the same layout, used an animal as the focal point, and used dotted paper for the background. I used the "Shaggy Cat" digital cat and sentiment by the Doodle Pantry. I've been wanting to use this image since I began with the design team, so this was a good time to do so. I will miss working with the design team members at the Doodle Pantry. 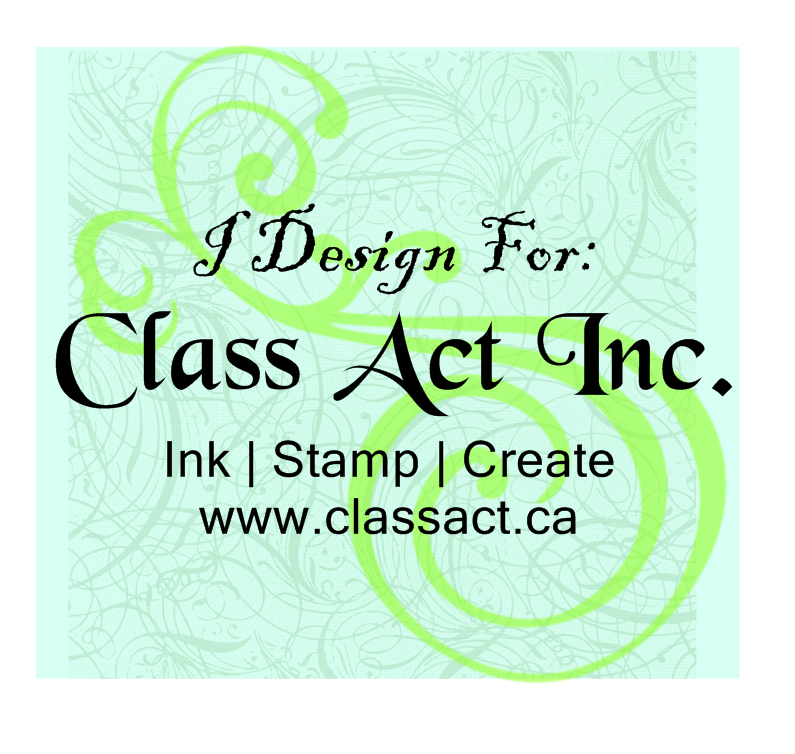 I will continue to work with designer, Laurie Wilson, over at the Clear Dollar Stamps digital design team. 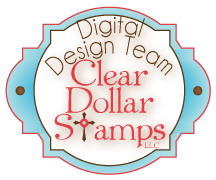 I am pleased to announce that starting March 1, I will be a designer for Clear Dollar Stamps digital designs. 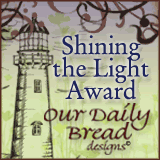 Laurie Wilson designs many of the digital designs for Clear Dollar Stamps. I have been working with Laurie Wilson's digital designs with the Doodle Pantry design team. My term for the Doodle Pantry design team ends February 28. I am looking forward to working with more of Laurie's images, as well as the images of the other Clear Dollar Stamps designers. 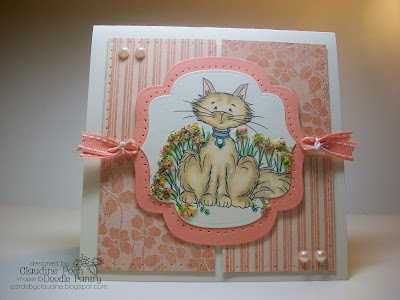 This is my final card as a February guest designer for Sweet n Sassy Stamps. When I first saw this "Bethany Bunny" image by Sweet n Sassy Stamps, I knew I wanted to make a clean and simple card with it. For this card, I printed the image, colored it with Copics, then added a stamped sentiment by Sweet n Sassy Stamps. 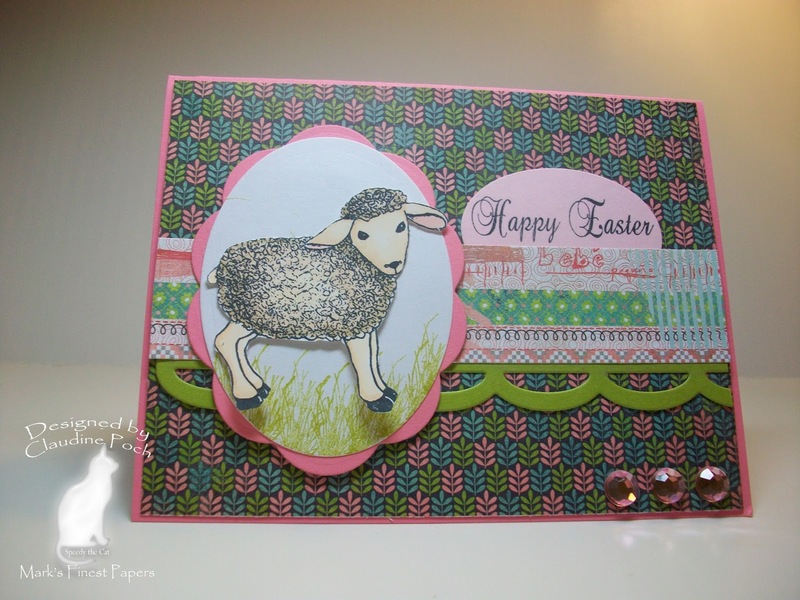 I completed this clean and simple card by adding gingham ribbon and a Easter basket charm. 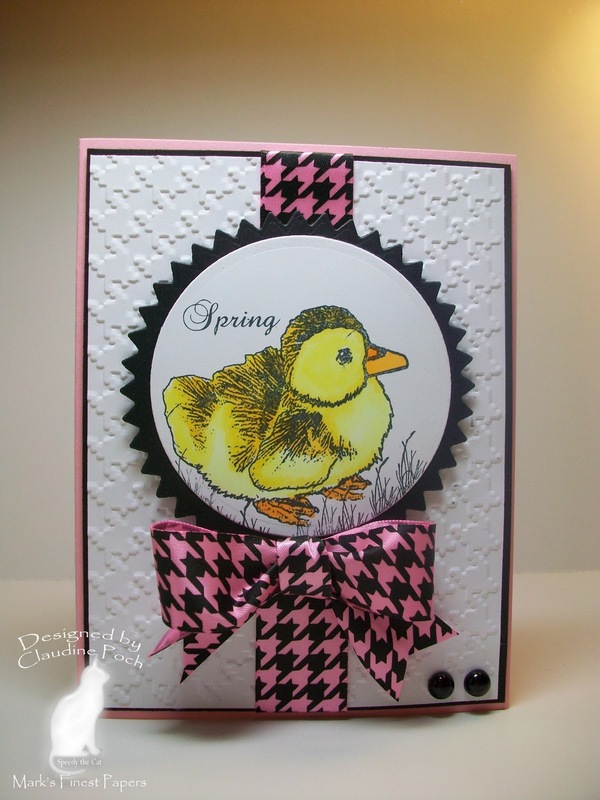 I made this card with the recently-released "Greet the Day with Gerber" set by Mark's Finest Papers. I used sketch SC320 from Splitcoaststampers. I also made this card for Speedy's Friends Challenge #43. We were to use black, white, one other color, and paper piercing. I chose to use red, along with the black and white. I paper pierced the red and black panels. I made this card for FS211 at Splitcoaststampers. 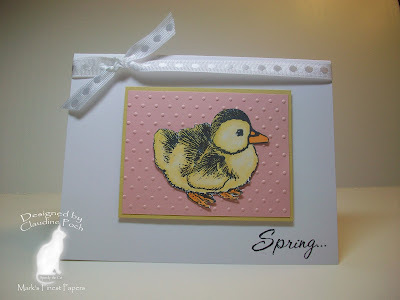 I cased this card by Cookie: http://www.splitcoaststampers.com/ga...p;ppuser=68848 Rather than a bird, I used a chick. I used a yellow layer behind the pink and I omitted the distressing. I also added a sentiment in the lower corner. The stamp set used for this card is "Spring Has Sprung" by Mark's Finest Papers. The papers used are white, Blushing Bride, and So Saffron from Stampin Up. I am also entering this card in the I Did It Creations anything goes challenge. 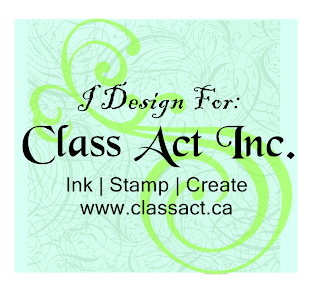 I am excited to announce that I have been selected to join the first design team for Class Act, Inc. stamps, a Canadian-based rubber stamp company. My 6-month design team term will begin March 1. I have created a preview notecard set to give you an idea of things to come. 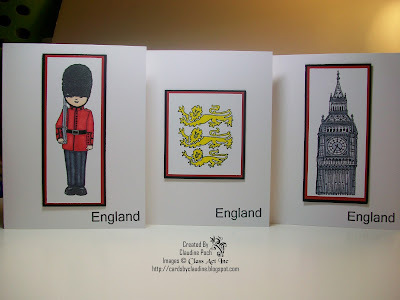 For this notecard set, I used the soon-to-be-released England stamp set from Class Act, Inc. I stamped each coordinating image in black then colored them in with Copic markers. 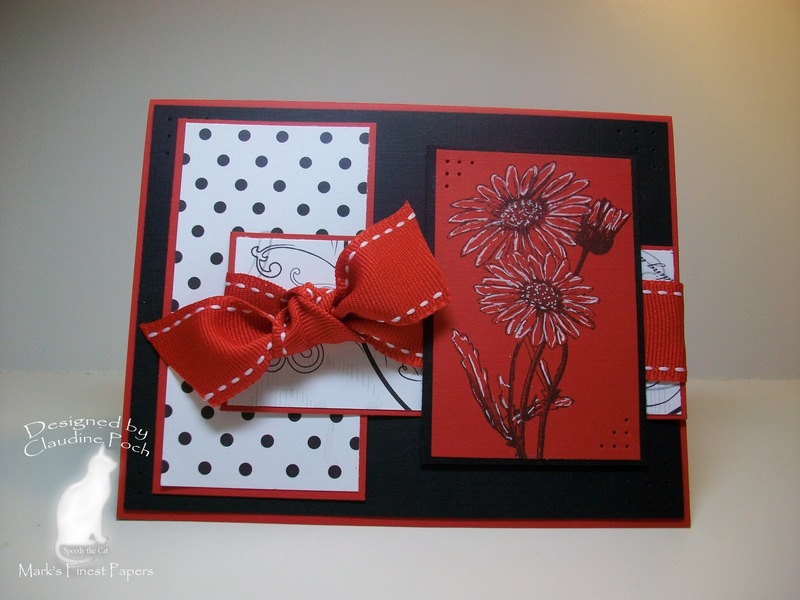 I layered each image with red and black panels, then added them to a white card base. To complete each card, I stamped "England" in the lower corner. This notecard set will be a perfect gift for one of my friends who is from England. I entered this set of cards in the IC272 challenge at Splitcoastampers. I used a wall art sticker of the Big Ben for my inspiration. Be sure to join us March 4 for the first challenge at Class Act, Inc. There will be a new challenge the first Friday of each month. Today is new release day and the start of a new challenge at the Doodle Pantry Blog. Head over to the Doodle Pantry blog to see all the challenge details and to see the wonderful new digital releases. For my card, I used the newly-released "chick" image from the Doodle Pantry. I used coordinating patterned papers to make the flower with a Tim Holtz die. 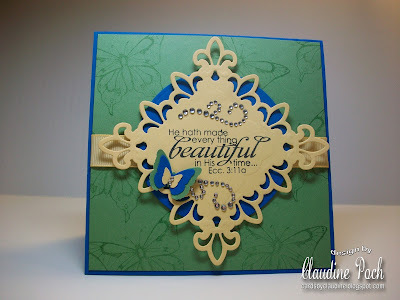 I embossed the base of the card and the flower petals with Cuttlebug embossing folders. 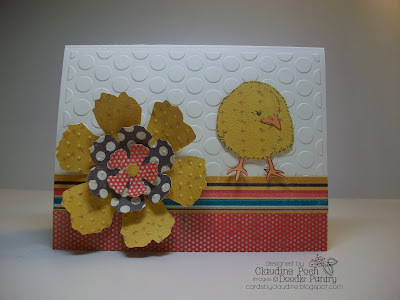 Finally, I paper pieced the chick and added it to this clean and simple card. I am entering this in the Crafty Emma spots and stripes challenge. 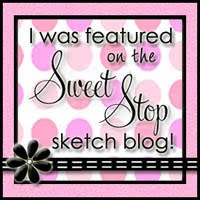 I can't believe that it is already my third week as a guest designer for Sweet n Sassy Stamps. For today's card, I used the newly-released "New Creature" stamp set. I used Wild Wasabi ink from Stampin Up to stamp the butterflies onto the coordinating card stock. I cut out a Spellbinders pendant and stamped the sentiment in the center. I completed the card by adding rhinestones, ribbon and a layered butterfly made with Martha Stewart punches. 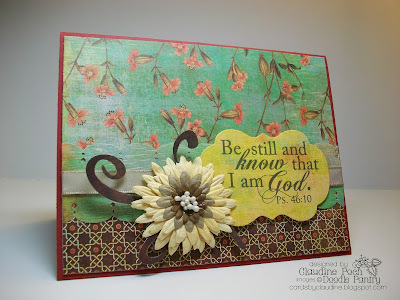 I used the colors for CC310 at Splitcoaststampers: Wild Wasabi, So Saffron, and Pacific Point. Since it has warmed up some this weekend, I thought it would be nice to make some Spring cards. I made this card for FS210 at Splitcoastsampers. The cute bunny and sentiment stamps are from Mark's Finest Papers. For this card, I also used stamps from Mark's Finest Papers. The sketch I used is from Speedy the Cat's Friends #42 challenge. I am also entering this card in the CES challenge-cute & cuddly. Sheep definitely qualify as cute and cuddly. I made this card with one of the sentiments from the "Only God" digital set by the Doodle Pantry. Occasionally, I like making cards where the sentiment is the focal point of the card. The papers used are Cherry Cobbler from Stampin Up and Curio paper pad by Basic Grey. I used a Martha Stewart punch, Sizzix swirl die, and a Spellbinders Labels 14 die. I completed the card by adding a layered Prima flower. 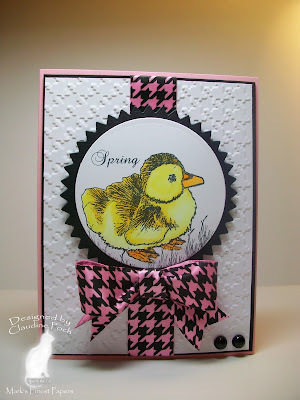 For this week's February guest designer card, I used the recently-released "New Creature" stamp set from Sweet n Sassy Stamps. This set includes two butterflies and several sentiments. I chose to use one of the sentiments and butterflies for my card. I stamped the butterflies in black then colored them with Copic markers. 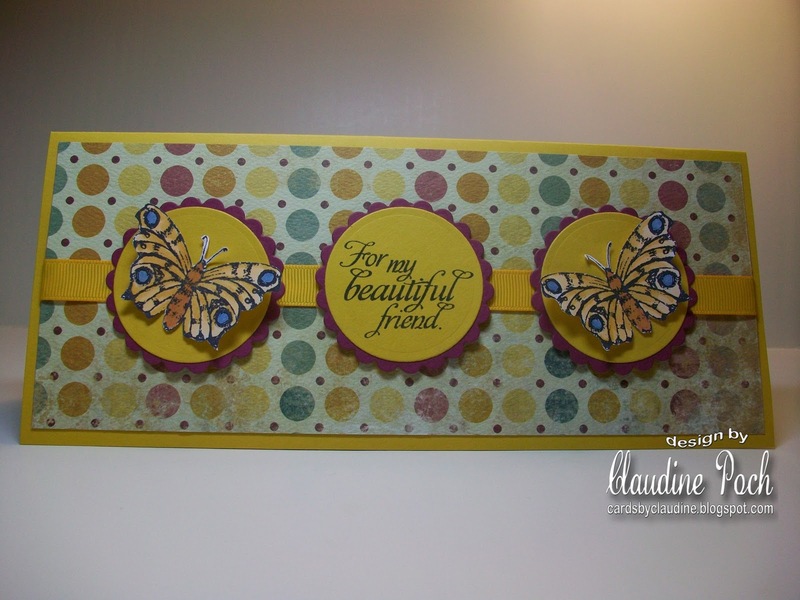 I made a long card and mounted the butterflies and sentiment on circles cut with Nestabilities dies. The papers used are Crushed Curry and Rich Razzleberry by Stampin Up and patterned paper by My Mind's Eye. I completed the card by adding a strip of coordinating Crushed Curry ribbon. Head over to the Sweet n Sassy store to see this stamp set, as well as the other newly-released sets. We have a BRAND NEW Blog Candy Contest! BE A GUEST DESIGNER! 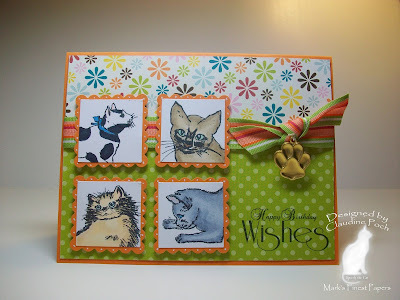 For my card, I wanted to use one of the sentiments from this stamp set as the focal point. I stamped the sentiment in black and stamped the lily in light pink around the sentiment. I also stamped a portion of one of the lily stamps then colored it with Copics. 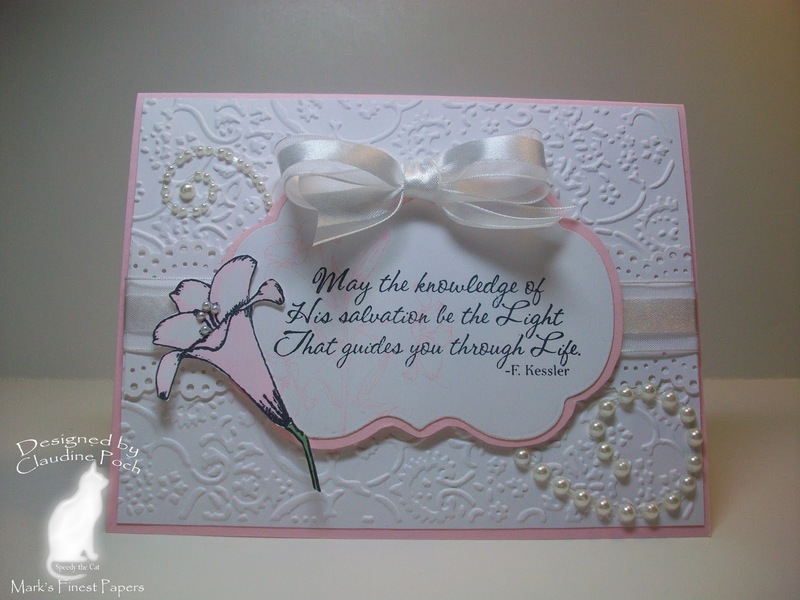 To create a soft feel for this card, I used a lacy edge punch, satin ribbon, embossing, half pearls, and light colors. Be sure to check the Mark's Finest Papers blog tomorrow to see the winner of the blog hop! For my card, I decided to use the sweet little chick from this stamp set. I had a new roll of pink and black herringbone ribbon on my desk so I decided to use it as the basis for this card design. I used black and pink card stock and embossed the white panel with a Cuttlebug herringbone embossing folder. I colored the chick with Copics, and stamped the sentiment and a few sprigs of grass. Be sure to join us tomorrow for the fourth and final day of the hop! For my card, I used the awesome tiger stamp and coordinating sentiment to make a 3 x 6 card. 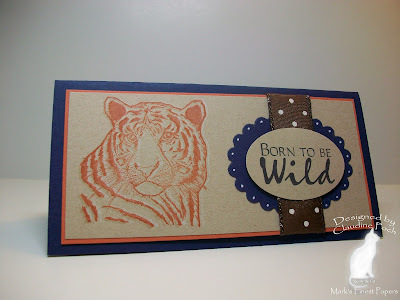 I stamped the tiger in Stampin Up's Really Rust then again in white ink and Versamark, slightly off center. The papers used are Stampin Up's Crumb Cake, Night of Navy, and Really Rust. Be sure to join us tomorrow for Day 3 of the hop! Today, we are featuring the "Greet the Day with Gerber" stamp set. 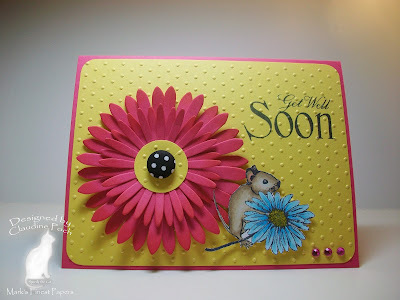 For my card, I used one of the sentiments and the sweet little mouse and daisy stamp from the "Greet the Day with Gerber" stamp set. I used a Sizzix daisy die to make the large daisy, which nicely compliments the daisy that the mouse is holding. 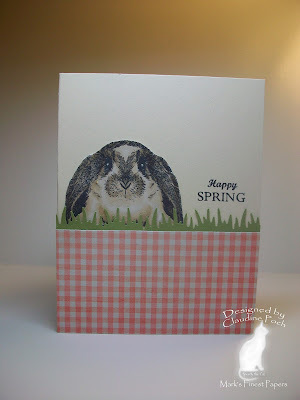 The papers used are Melon Mambo and Daffodil Delight by Stampin Up. I stamped the sentiment on the back panel then ran it through a Cuttlebug dot embossing folder. I completed the card by adding a few rhinestones and a polka dot brad in the center of the flower. Head over to the Mark's Finest Paper's Blog to view the links to the other Blog Hop participants blogs. Make sure to join us tomorrow for Day 2 of the hop! 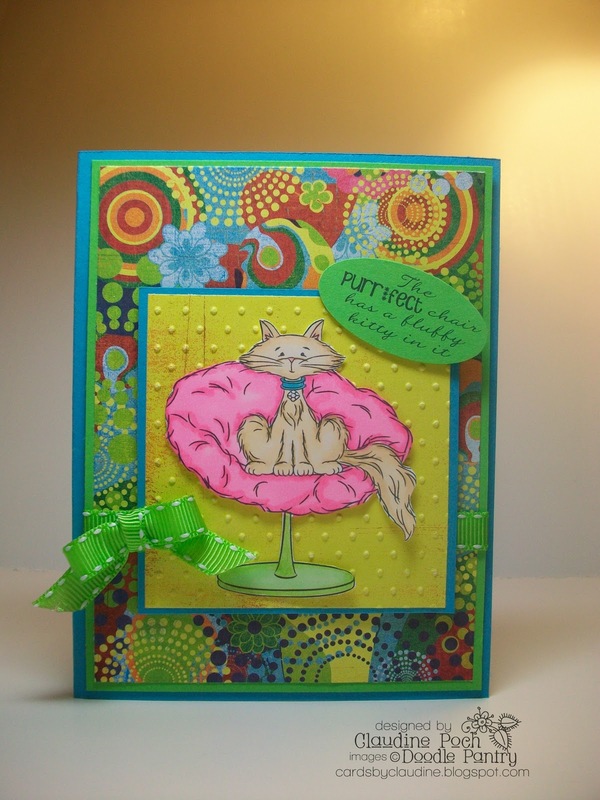 For my card, I used the new "Kitty Bouquet" digital image from the Doodle Pantry. I love when Laurie creates new digital cat images! For this card, I printed the image, colored the kitty with Copics, then added Flower Soft to the flowers. The papers used are off white, Groovy Guava from Stampin Up, and patterned papers from Graphic 45. I completed the card by adding paper-piercing, half pearls, and Groovy Guava ribbon. Doesn't this kitty look so sweet sitting among the flowers? I am excited to announce that I am one of the guest designers this month at the Sweet n Sassy Stamps Blog, and today is my first post! I will be posting a card/project each Saturday in February. 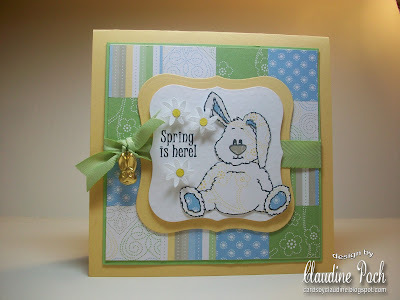 For this card, I used the newly-released "Benjamin Bunny" stamp set from Sweet n Sassy Stamps. I thought it would be fun to paper piece Benjamin. To do this, I used three different coordinating papers. I decided not to include the pot and flower that is a part of the Benjamin stamp. I like the effect that the paper-piecing achieved. In addition to Spring cards, I think Benjamin would also be cute on baby cards. I made a "quilted" background by punching squares from patterned papers and mounting them onto a piece of card stock. The papers used are So Saffron, Certain Celery, and Delicate Dots DSP by Stampin Up. I placed Benjamin on the frame made from Nestabilities dies then stamped the coordinating sentiment. 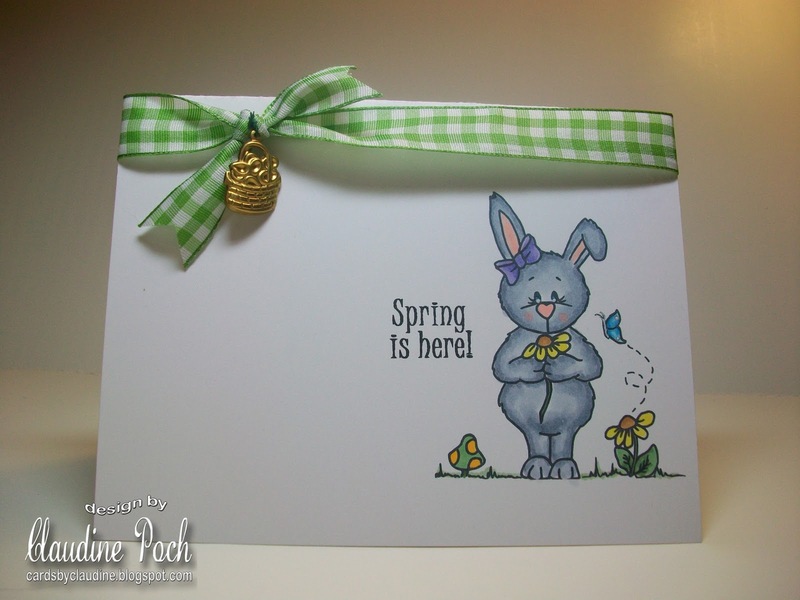 I completed the card by adding pre-made flowers, ribbon, and a bunny charm. Head over the Sweet n Sassy store to see the new "Benjamin Bunny" stamp set, as well as, other new stamp releases.